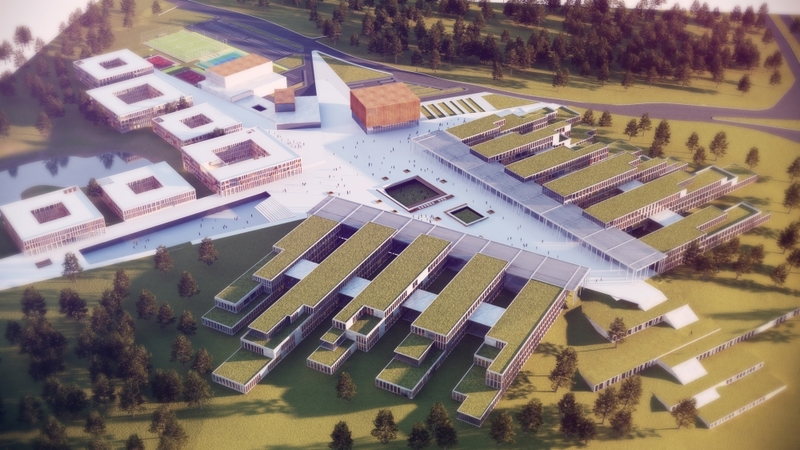 ONZ Architects together with Marc Koehler Architects have been awarded first prize for their design of the Kastamonu campus in Turkey. ONZ Architects together with Marc Koehler Architects have been awarded first prize for their design of the Kastamonu campus in Turkey. 156 architects had been invited by the Ministry of Education in Turkey to compete in the design a series of ultra-modern educational campuses. Their winning proposal; an asymmetrical star, embodies excellence, the stretching arms symbolic of the far reaching aspirations of growing minds; is an endeavor to create the largest (120.000 sqm brutto) high school campus ever designed. We legitimately collected your e-mail address in circumstances such as in fairs or through the website, when you knowingly provided this information. Marc Koehler Architects makes its best effort in order to handle such information in conformity with privacy regulations and in complete safety.